We are in your backyard! 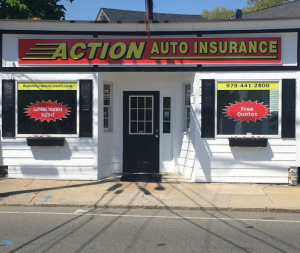 Action Auto Insurance is the insurance agency for many of the students, staff and faculty. Our attention to detail and knowledge of your specific needs is our promise that you are getting the best policy at the best price. Carpartment Insurance - get bundled rates for all of your insurance needs. For a FREE Quote in Massachusetts call 978-441-2800.